Over the past few years, new procedures involving phased array technology were implemented through a growing number of NDT inspections. 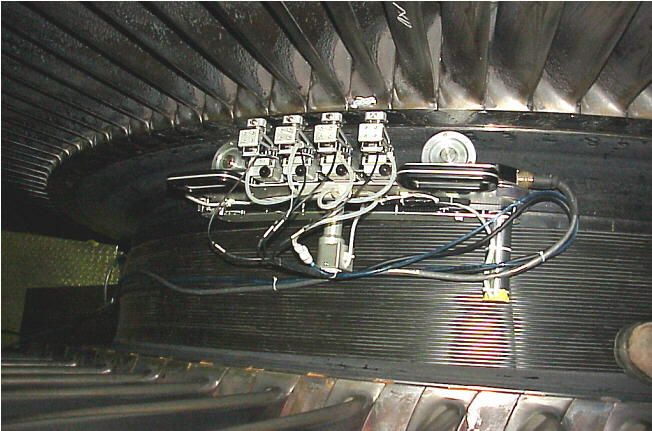 As this technology is now in production, requirements on the systems and on the transducers are increasing, especially about reliability and reproducibility Imasonic has developed phased array probes for industrial applications for more than 13 years, and its phased array technology early took into account these requirements. Some examples will be given based on internal quality records and also based on the feed back from Ontario Power Generation which has a large experience in Turbine inspection with phased array. Since 1996, OPG implemented industrial inspection procedure for turbine inspection using more than 150 phased array probes. Quality records from OPG will also be presented to illustrate phased array probes capabilities in terms of reproducibility and reliability OPG results include data for a batch of probes (3-17) manufactured on the same design requirement, but in different years. The following data will be presented: Gain sensitivity for best detection angle, S/N, sizing capability, Fc, BW, PD, beam features (focal depth, focal length-depth of field, focal beam dimensions) for L-wavesand T-waves. Introduction: The phased array technology is based on multi element transducers, having typically 16 to 128 elements used all together or by groups. The beam emitted by a probe is the resulting interference of all the elementary beams. This beam is typically controlled (focused, steered, scanned), using appropriate delay laws (2). The beam calculations done with simulation softwares take into account similar electro acoustical response for all elements, and a predictable an accurate beam control requires homogeneous temporal response for individual elements (sensitivity, pulse shape, pulse length). Electronic phased array devices are often able to normalize the sensitivity element by element in reception, but not in emission. For these reasons it is critical that the ultrasonic phased array probes for NDT application have a good intrinsic homogeneity between all their elements. In the meantime, inspection setups are done for calibrated performances. To save the time corresponding to new calibration, it is suitable that probes have also a good homogeneity from one probe to the other, within a same batch, and between different batches along the years. At last, as maintenance costs should be minimized, and as inspection performances should be reliable, reliability and extended time of life are required for phased array probes. Composite plates: The composite material is a key component of the phased array probes, allowing independent and homogeneous functioning of each individual element (4). The performances of the probes highly depend on the characteristics of the composite material, which should be carefully measured and recorded to guarantee the reproducibility along the batches. The manufacturing process is also under high level of control to guarantee the appropriate level of performance within a plate, and then within a probe or batch of probes if more than one probe are done with the same plate. Front face: The front face helps to protect the acoustic module, but is also a key component to optimize the energy transmission. Then it is necessary to control the material properties, like acoustic impedance, sound velocity, through the traceability of the materials for each probe. It is also important to manage with high accuracy the thickness and the homogeneity of the front face through the manufacturing processes. Backing material: The backing material is also a key component, having a great influence on the sensitivity and pulse shape. As for the front face material, the traceability and the control of the manufacturing processes ensure the performance homogeneity within a probe and between different batches. Cable: The cable, typically 3 to 7m long, may have a significant influence depending on its electrical characteristics, and also on its attenuation especially for probes with centre frequency above 10 MHz. It is selected within a range of standard cables, defined and taken in stock by Imasonic. Mounting operations: Each type of probe has a detailed manufacturing file, including all critical point for reproducibility. In the meantime, as operator skills may influence the performance of the probes, all necessary skills are listed, with qualified operators. Internal connections: The quality of internal connexions, and particularly of soldering points, is strictly managed by the manufacturing process, and by the training of the operators, to ensure reliable internal connexion when the probes are used in an industrial environment. Watertightness: Water may significantly damage the internal component of a probe. In the meantime, water is often use as a couplant, with a water film, or in complete immersion. Then it is crucial to guarantee the water tightness of the probes. All OPG probes are watertight under 1m of water, thanks to appropriate choice of components, and adapted assembly processes. Front face wear resistance: The front face of the probe is rather thin (50 to 500 microns), and in polymer material to ensure good electroacoustical performances (bandwidth, sensitivity, pulse shape). In the meantime, some OPG probes are used in direct contact with steel. Imasonic developed special front face in hard polymer, having wear resistance 10 times higher than conventional polymer based front faces, while keeping a very high level of performances. Cable output resistance: The manual use of the probes generates many bending efforts on the probes cable. The small spaces available between the wings require small radius of curvature for the cable. As the probes are rather small compared to the cable, an in order to avoid internal connections damages, it is particularly important that the efforts on the cable do not propagate inside the probes. The cable output is specially designed and manufactured to guarantee the reliability of the probes, while meeting the requirements of manual or automated inspections. The cables are also selected taking into account the mechanical resistance of their individual coax. Results will be detailed for two types of standard phased array probes, two types of miniature phased array probes, and 1 type of miniature phased array probe with integral wedge. All these probes are used in the field by Ontario Power Generation for the inspection of blade roots and rotor steeples of nuclear power plant turbines. The figure on the right shows the S/N ration homogeneity measured by OPG on the five probes, with 19°LW, 125mm UT Path on hook five target. The homogeneity is within 2dB. The table below summarizes more complete repeatability information related to crack sizing on hooks 3 to 5. 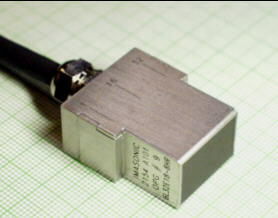 For each probe the gain is reported, as well as the measured detection angles, depth, and crack height. Probe main specifications are 10 MHz, 32 elts, 0.31mm pitch, 7mm elevation, Hard front face. 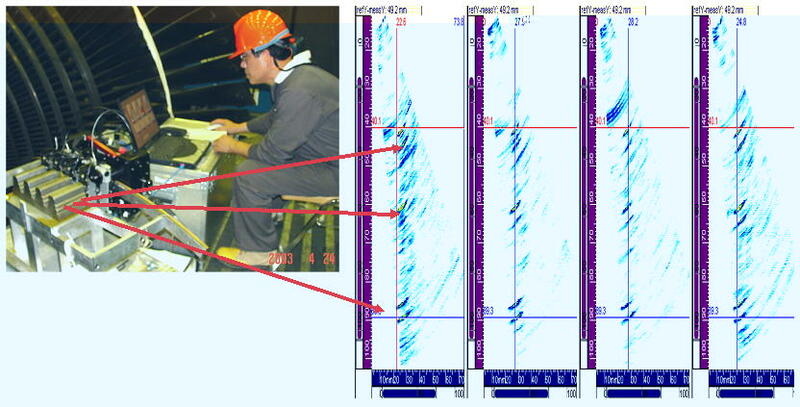 Two probes had been manufactured, and a batch of 3 probes 4 months later According to Imasonic final control (on the left), the overall amplitude variation on all 160 individual elements is 7.9dB. The average sensitivity variation within one probe is 4dB. They are particular challenges linked to homogeneity for miniature phased array probes: -	The small elements require a high level of homogeneity in the piezocomposite material. A very small property variation may affect the performances of the 0.3x8mm elements. -	Due to the miniature housing, extreme elements have not the same mechanical environment than the other, and then may have different vibration modes, with consequences on sensitivity and pulse shape. 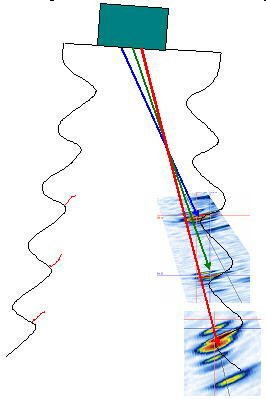 The results measured by Imasonic during the final control are illustrated below. The overall sensitivity variation on 8 x 20 = 160 elts is 3.9dB, and the average sensitivity variation within a probe is 1.4dB. The calibration of probes #23 is done by OPG on targets of 4 x 1.5 mm located at 40, 60 and 85mm along the hook profile. 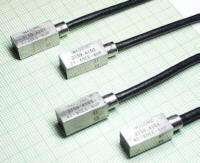 Probes main specifications are 5MHz, 12elts, 0,5mm pitch, 6mm elevation, and hard face. The housing dimensions are 8 x 8 x 14mm for a 6x6 active area. One batch of 4probes had been manufactured. The sensitivity amplitude over the 48elts is 1.2 dB, the average sensitivity variation within one probe is 0.8dB. Probes mains specs are 5MHz, 10elts, 0,5mm pitch and 5mm elevation with integral wedge. The housing dimensions are 7x9x20mm. One batch of 4 probes, and one batch of 5 probes have been manufactured with 4 month time difference. Further to the challenges linked to the miniaturization, the integral wedge adds new difficulties for the homogeneity. According to Imasonic final measurements, overall homogeneity on the 90 elements is 11.5 dB, with an average variation within a probe of 4.1 dB. As we can see on the graph, the first batch was worst than the following, for which the assembly process has been improved on the basis of the first experience. Front face resistance: The special "Hard" front face developed by Imasonic has proven, to be 10 times more resistant than conventional phased array probes front face. In the case of probes #23, used in direct contact in an automated manner, this front face allowed to inspect along a 10km distance. Further to these results, we plan to continue this work with analysis of other parameters than sensitivity, like pulse shape and bandwidth homogeneity between the elements of a probe, and reproducibility between the probes of a batch.